Looking for a small, easy to operate turn-key business? This is an established 15 year old family-run restaurant in Poway. 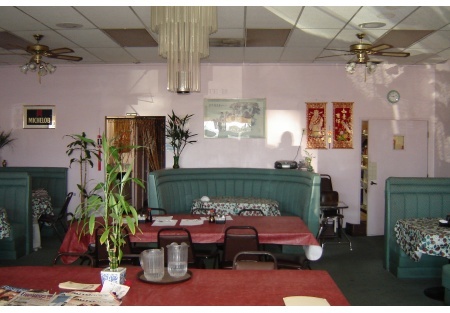 It is well known for the consistent food and hospitable service. The owners are retiring, so come in with your own concept or continue with the same concept to take advantage of the established traffic patterns. The strip center is anchored with a sporting goods store, fitness center, national restaurant brands, as well as boutique restaurants and retailers. This location has current avg. monthly gross sales of $13,000 in a 1,668 sf space. Poway Road has high traffic counts and is the busiest thoroughfare in Poway. This is a location within a recently remodeled strip center and is central with surrounding dense population (69K in 3 miles, 155K in 5 miles, and a daytime pop of 35K in 3 miles) and average household incomes of $85K in 3 miles. These statistics will provide a great platform for your business. The best features of this location is the sale price; $69,000. With the verifiable profits through tax returns, the market valuation is $105,000-$125,000. A recent injury has prompted a quick sale. Buy it now and be in business with some extra cash. Take the next step and complete the online confidentiality agreement and you�ll be provided with the restaurant name and address. Also you will given priority notification to new listings in the future, prior to the general public, giving you the best chance to �scoop in� the best opportunities. There are also more photos available to our registered buyers.This is a Stone Path Brokerage Services, Inc. DBA Selling Restaurants San Diego listing. Poway Road high traffic counts. 5 year option on the lease.